Handmade products are expensive, afford to keep buying some beautiful things in the form of figurines, boxes and other things can afford not everyone. If you wish in its Arsenal to have a few exclusive casket, advise you to make yourself, based on conventional reels of tape. What you can do from a Shoe box? 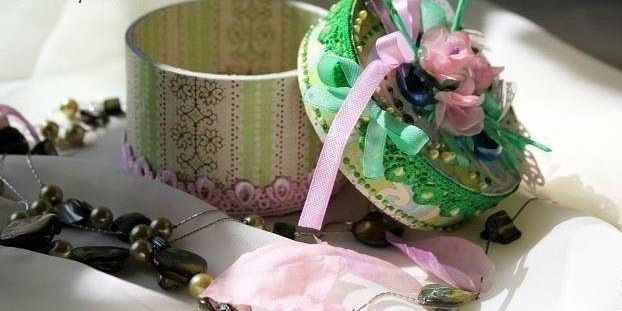 beads, lace, ribbon (any decorative elements). 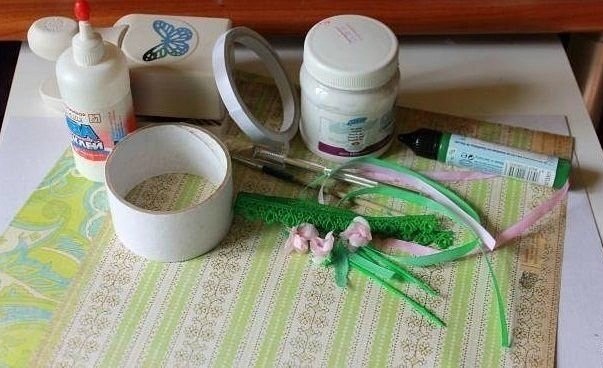 First, prepare all the necessary tools and materials to create the boxes. Take a thick cardboard, reel of tape and pencil, put the reel on the cardboard, carefully draw around it twice outside and once inside. The resulting cut out parts using scissors. Of colored paper the same color cut out two circles the size previously cut a circle of smaller diameter, and a rectangle of length equal to the circumference of this circle and a width of two centimeters. 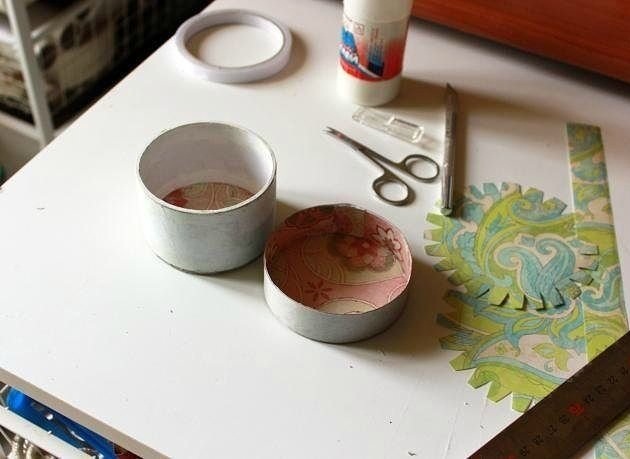 On colored paper of a different color, draw two circles with diameter equal to the circle of larger diameter, which is carved at the beginning of the craft. 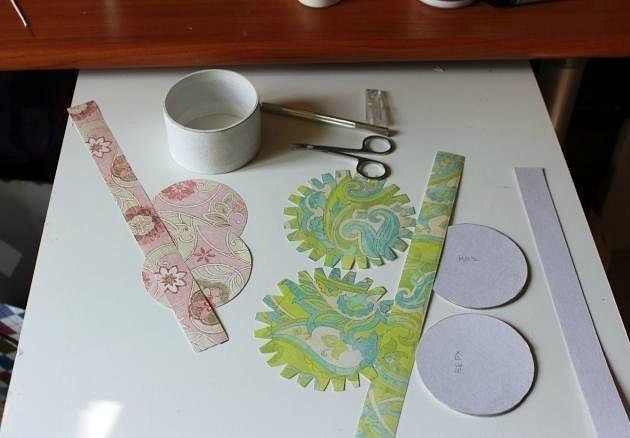 Next, increase the diameter of these circles approximately one inch, and then cut them out and make the sides of the notch, by which in the further procedure of bonding will be more easier. Of paper of the same color and cut out cardboard rectangles, the sizes of which should be exactly the same as the rectangle cut earlier. 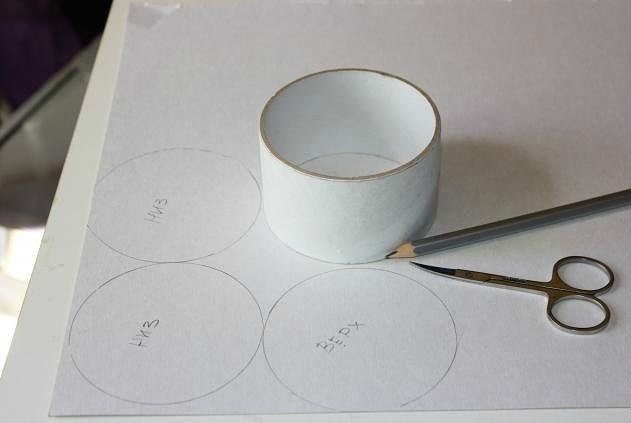 To the circle of cardboard with a larger diameter at its sides to glue a rectangle of cardboard (it is better to use duct tape) then carefully glue the circles and rectangles of colored paper to the inside of the resulting "cap". Glue between the two remaining cardboard circle, put a smaller more exactly in the middle. The resulting workpiece stick to the reel of tape instead of the bottom. 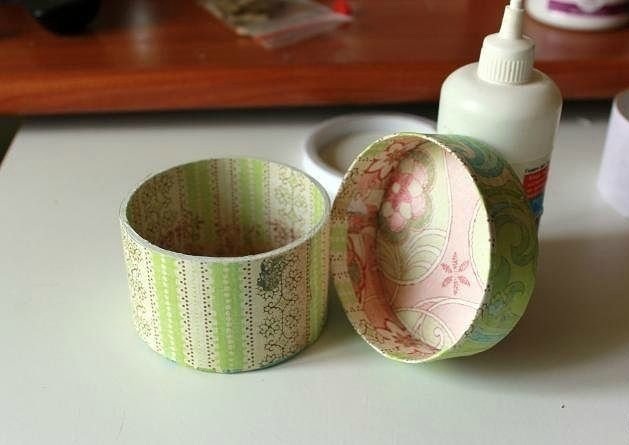 Decorate the bottom with a circle of colored paper. 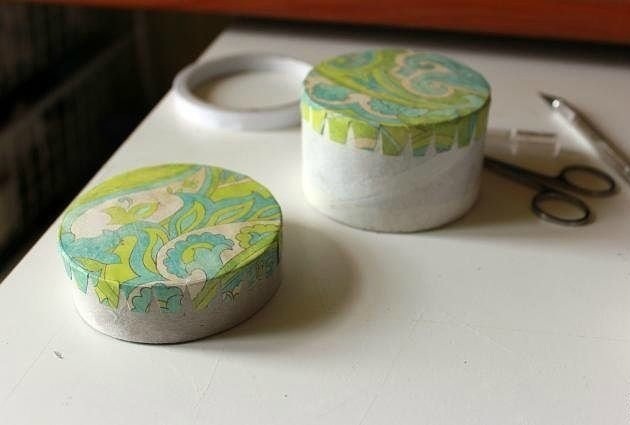 Glue the circles with the "notches" to the lid and bottom of box with external parts. Measure the height and circumference of the resulting box cover, cut out of thick colored paper rectangles of the required width and glue them to the blanks. 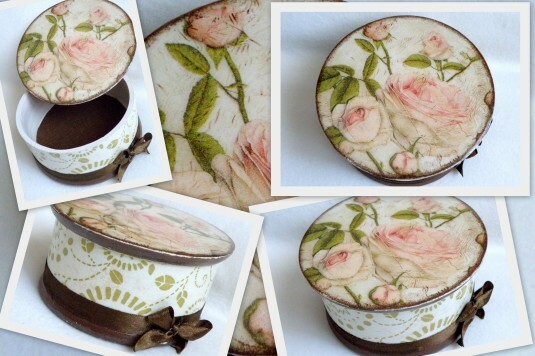 Decorate the box with ribbons, lace and other decorative elements to your liking. Box of reels of tape ready.